Tinnitus in children can be a very daunting subject for parents. A few studies have examined the occurrence of tinnitus in children. Among children with hearing difficulties, tinnitus affects as many as 24 to 29 percent. Tinnitus may be caused by ear infections, noise exposure, and head injuries. It can be very distressing to know that your child is dealing with this ailment but nevertheless there are many things that can be done to soothe your child and to help them live fulfilling lives regardless of the tinnitus. 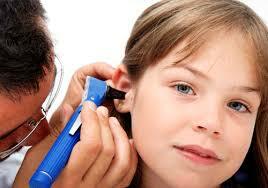 Children tend to develop tinnitus through ear infections and fevers. It can be very distressing for them but reassure them that they will be alright and possibly get them a noise machine when it is time to sleep. Your child will be receptive to it and will have no issues sleeping. The sound machine helps to block out all the ringing that is causing your child so much distress. Stim toys and other soothing and colorful things will help your child to calm down whenever the noises become too much for them to bear, be patient and understand that tinnitus is overwhelming even for adults, so it can really rattle a child. Children have very sensitive ears, so it would be best to get them earplugs to keep with them. If they ever become exposed to loud noises they can put them in their ears to protect them from further damage. Often children believe the noise in their ears to be normal and have trouble describing the problem. However, identifying the problem and treating it as early as possible is important. 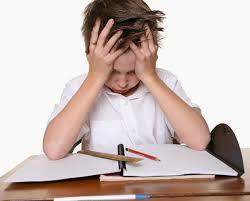 Children rarely complain or even talk about it when they hear the bothersome tinnitus noises. Some children who are born with tinnitus or stricken at an early age often believe that other children hear the same noises in their ears. They learn to live with it as best they can. If you suspect that they may have tinnitus it would benefit you to take them to a doctor. Like adults, children with tinnitus rarely can be totally cured, but a variety of treatments can help most of them to cope in the best ways possible. Children tend to be easier to work with because they are open-minded and more receptive to treatment than adults. They tend to heal and improve faster than adults as well. Make sure to reassure your child that they are not the only one with this condition and it is not fatal. Tell them that other children suffer from tinnitus as well and their experience is not an isolated incidence. Make sure to explain to the child everything you can about tinnitus and validate them and their experience. Validating your child is essential for their self-esteem and understanding of the world around them. Assure them that this ailment is not their fault and that others suffer from it as well. For help with these symptoms contact us today to schedule an appointment to treat your tinnitus. We can help you on your way to improving your life and mindset.